Hobson & Porter features on the cover of the latest edition of the Hull & Humber Chamber of Commerce’s Business Intelligence magazine. In the April/May magazine, Hobson & Porter Managing Director, Graham Beal, talks about the upcoming general election, the opportunities for the Humber region and the key changes that will affect the construction industry in the coming months. He also discusses the company’s performance, its current projects and its vision for 2015. AS in any general election year uncertainty is rife across all industries but for construction firm Hobson & Porter 2015 brings only optimism and a wealth of opportunities. Having enjoyed its most successful year to date in 2014 with turnover rising to around £45m, the Hull-based firm enjoyed further success in the first quarter of 2015, the highlight of which being the completion of its planned expansion into Lincolnshire to reaffirm its commitment to its existing clients and supply chain in the region. With an increasing portfolio of work on both sides of the Humber, it has also pledged its support to bridging the skills gap in Hull by signing up to the Humber Local Enterprise Partnership’s (LEP) Skills Pledge and continues to support homeless charity Emmaus Hull. With Hull moving a step closer to arguably its most defining year, 2017, when it becomes UK City of Culture, Hobson & Porter Managing Director, Graham Beal, believes the region is on a path to prosperity, no matter the outcome of the general election. “A general election brings uncertainty but I firmly believe 2015 will be a prosperous year for Hobson & Porter and the Humber region as a whole,” he said. 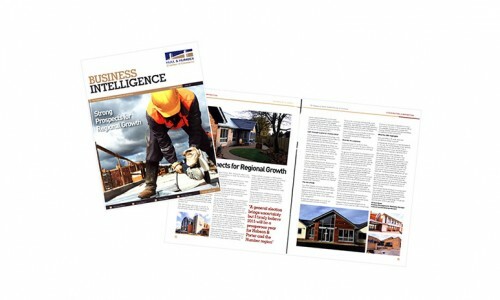 “The construction industry has continued to grow steadily over the last few years helped by low interest rates and government programmes aimed at boosting demand, as well as the broader economic recovery. Set up in 1971, Hobson & Porter has completed a number of high-profile projects across the Humber region over the last 12 months, including the multi-million pound Agrii Crop Technology Centre at Bishop Burton College in East Yorkshire and a £3.4m development for Dong Energy Power (UK) in Grimsby, North East Lincolnshire. Other completed schemes include a major redevelopment of East Riding Leisure Haltemprice and a new learning resource centre at Bishop Burton College, while works continue to progress well on a £2.7m homeless shelter in Hull for Emmaus. While Hobson & Porter, which completed its 100th building project under the Considerate Constructors Scheme (CCS) in 2014, a barometer by which delivery standards are measured across the industry, continues to make a positive difference across the Humber region through its work, the outlook for the construction industry as a whole looks bright. Rising private sector confidence and investment are driving growth in construction activity. Output volumes rose 0.8 per cent during the third quarter of 2014 to stand 2.9 per cent up on a year earlier, the sixth consecutive period of annual quarter on quarter growth. Industry experts predict rising private sector investment and improved consumer confidence to underpin further growth in both detailed planning approvals and project starts during 2015. Underlying project starts are forecast to grow by 7.3 per cent this year, building upon an estimated eight per cent increase during 2014. 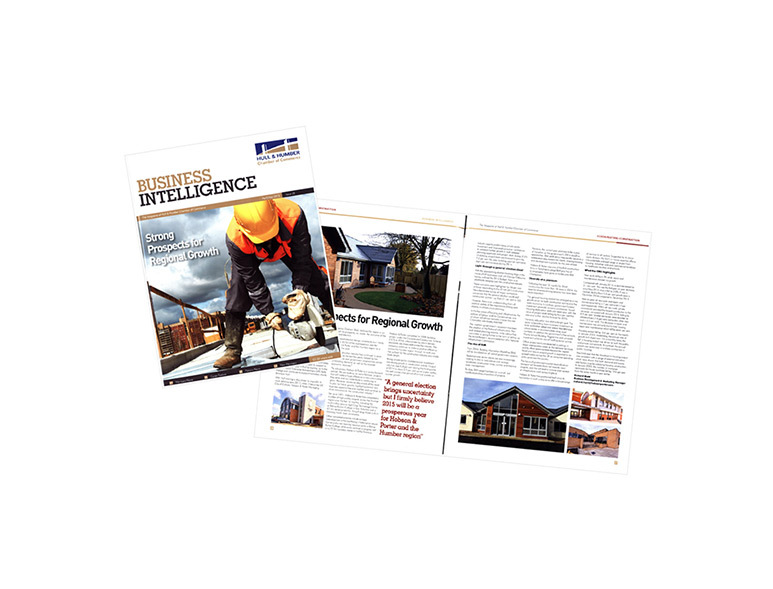 With the approaching election looming large in the minds of UK businesses and with George Osbourne having outlined the 2015 Budget, there is an uncertainty hanging over the construction industry. These concerns were highlighted by 58 per cent of those responding to the 2014 Q4 Construction News barometer survey of major contractors concerned that the general election could stall construction activity – up from 51 per cent in Q3. However, there is an understanding from all political parties of the importance of long-term stability in infrastructure planning. In the key areas of housing and infrastructure, the policies of Labour and the Conservatives, one of whom will almost certainly choose the next Chancellor, are closely matched. The coalition government’s approach has been the creation of the National Infrastructure Plan and related planning reforms, while Labour has committed to going further in the form of setting up the Armitt Review’s recommendation of a National Infrastructure Commission. From 2016, Building Information Modelling (BIM) will be mandated on all central government projects. Repeat private sector clients are also increasingly looking to BIM to help deliver cost savings, accelerate construction times, cut risk and improve asset management. To date, BIM usage has been on a small, but rapidly expanding proportion of projects. However, the current year promises to be a year of transition as the government’s 2016 deadline approaches. BIM proficiency may quickly become a widespread requirement for clients, making training and development a priority for the year ahead. Hobson & Porter was one of the first construction firms in Yorkshire to adopt BIM and five of its employees have gone on to become BIM Champions. Following the best 12 months for British construction for more than 18 years in 2014, the need for diversity among services has never been more important. The general housing market has emerged as a key growth driver for both construction activity and the wider economy. In contrast, government-funded investment generally remains constrained. Social housing starts are a particular weak spot, with the value of project starts falling by four per cent this year and further decline forecast for 2015. However, education is a relative bright spot. The sector is benefiting from increased investment as local authorities adapt and extend their primary school estate to accommodate rising pupil numbers. In addition the government’s free schools, Priority School Building Programme and university investment schemes are all fuelling sector activity. Office project starts are expected to pick-up in major metropolitan areas as the demand for more quality office space spreads beyond the capital. Retail and leisure project growth is expected to be spread widely across the UK as consumer spending picks up across the country. The focus of government capital expenditure on transport will broaden from rail towards road projects, and this will lead to a more even spread of infrastructure work across England. 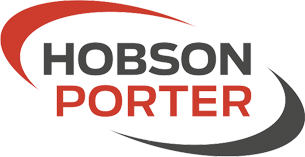 Hobson & Porter has positioned itself since its foundation in such a way as to offer a broad range of services to all sectors. Supported by its minor works division, the firm’s in-house expertise allows it to undertake a broad range of project from housing and commercial buildings to fire stations and schools. New work fell by 4.2% while repair and maintenance showed no growth. Compared with January 2014, output decreased by 3.1 per cent. This was the first year-on-year decrease since May 2013 when it fell by 2.8%. It was a marked decline from 5.3 per cent growth seen in December 2014 compared to December 2013. Year-on-year, all new work and repair & maintenance fell by 2.7 per cent and 3.7 per cent respectively. Within all new work, private commercial provided the largest contribution to the decrease compared with January 2014, falling by 8.9 per cent. Smaller decreases were reported by infrastructure (-2.4 per cent) and public other new work (-2.3 per cent). The decrease in repair and maintenance was primarily due to total housing repair & maintenance which fell by seven per cent. Housing output fell by -5.0 per cent on the month in January 2015, moderating the annual rate of growth to 0.8 per cent. On a monthly basis, the fall in housing output was driven by both the public and private components. In contrast, the annual growth rate eased due to a sharp contraction in public housing. The ONS said that the slowdown in housing output was consistent with a range of external indicators which have shown that both demand and supply side factors may be subduing housing construction. In January 2015, the number of mortgage approvals for house purchase fell by 19.6 per cent from the same month a year earlier.